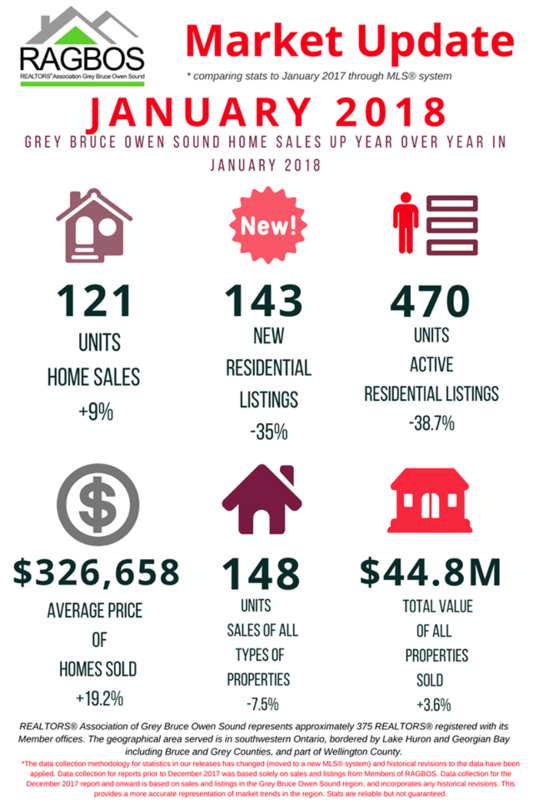 Residential sales activity recorded through the Ontario Collective MLS® system for the Grey Bruce Owen Sound and Wellington areas rose on a year-over-year basis in January 2018 from levels in 2017. Home sales numbered 121 units in January, up 9% from January 2017. This was tied with 2002 for the third highest sales figure on record for the month of January after 2016 and 2007. The average price of homes sold in January 2018 was a record $326,658, up 19.2% year-over-year compared to January 2017. 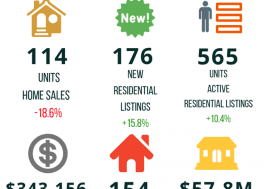 New residential listings in the region numbered 143 units in January 2018. 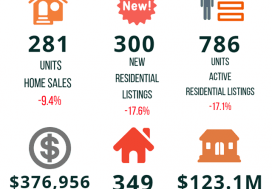 This was down 35% compared to January 2017 and marks the lowest level of new residential listings for the month of January on record. Overall supply also stands at record lows. 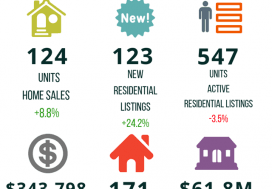 Active residential listings totalled 470 units at the end of January, down 38.7% from January 2017. The number of months of inventory stood at just 3.9 at the end of January 2018, down from the 6.9 months recorded a year earlier and the lowest level on record for this time of year. The number of months of inventory is the number of months it would take to sell current inventories at the current rate of sales activity. The dollar value of all home sales in January 2018 was $39.5 million, up 29.9% from January 2017 and the highest January reading on record. Sales of all types of properties numbered 148 units in January 2018, down 7.5% from the previous January. The total value of all properties sold in January 2018 was $44.8 million, up 3.6% from levels recorded in January 2017.